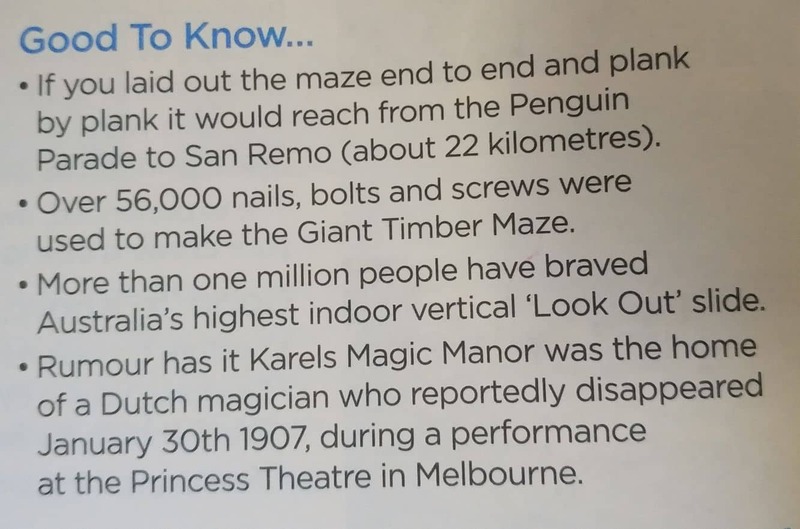 While visiting Phillip Island, make sure to stop off a A Maze’N Things; a unique family attraction with many unusual attractions and activities. 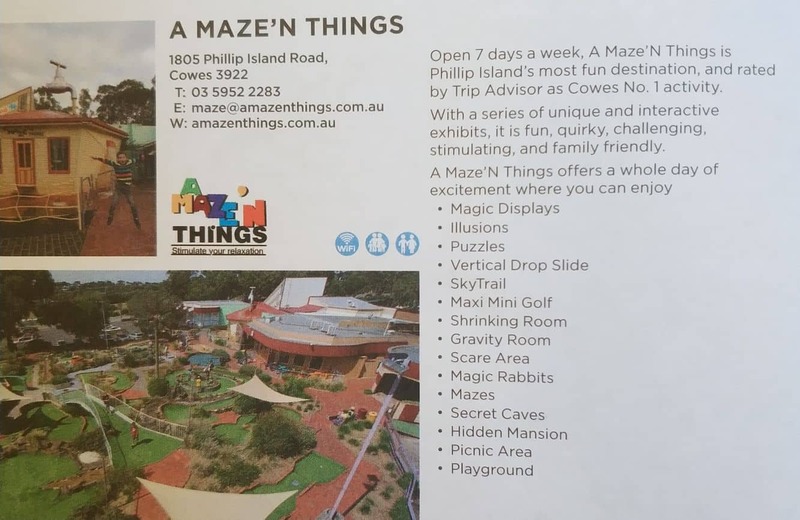 Located right next to the popular Koala Conservation Centre on Phillip Island, A Maze’N Things is conveniently located and sure to keep your kids entertained for hours. 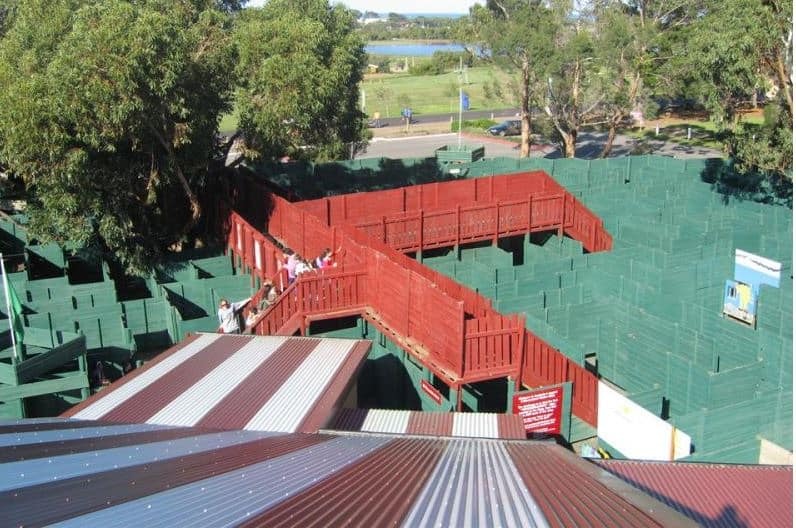 A Maze’N Things is a popular attraction filled with illusions, puzzles and a maze that provides hours of entertainment for the whole family. 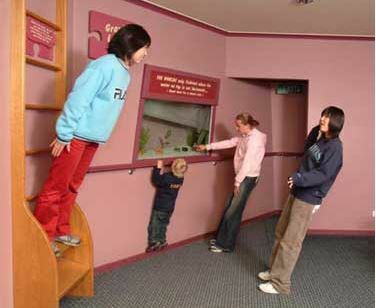 A Maze’N Things is truly an interactive experience with optical illusions and puzzles that will test your motor skills and memory as well entertain and amuse. Check out the gravity room, shrinking room and mirror room which will trick and amaze. 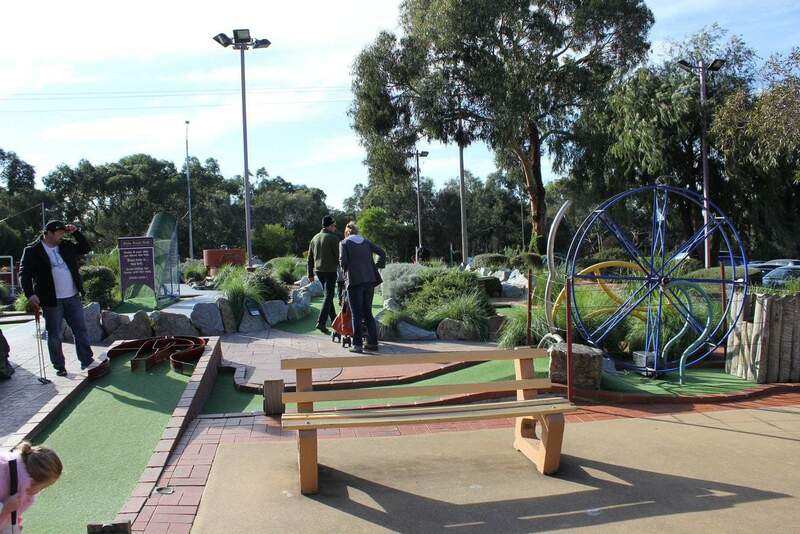 Spend a few hours here and get lost in the challenging maze or play a game of minigolf with family and friends. 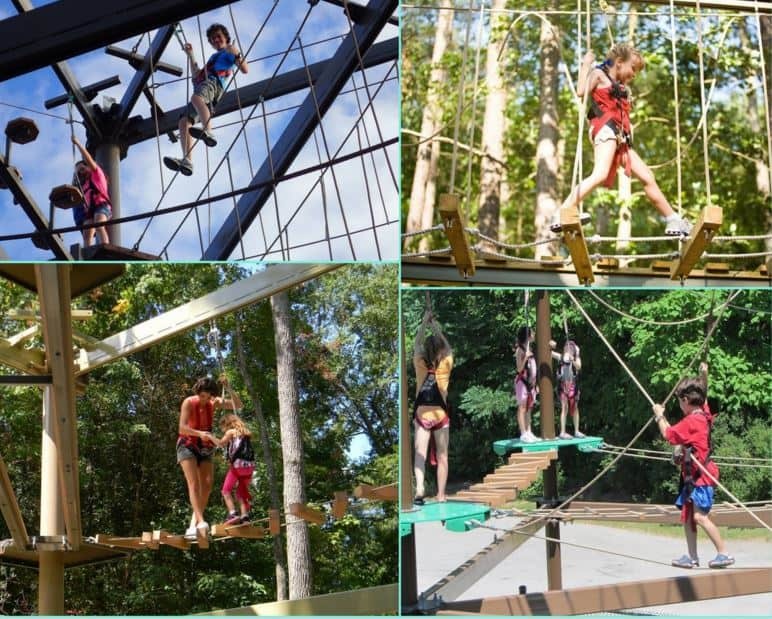 For the more adventurous, try the challenging SkyTrail ropes course which is suitable for adults and kids alike. 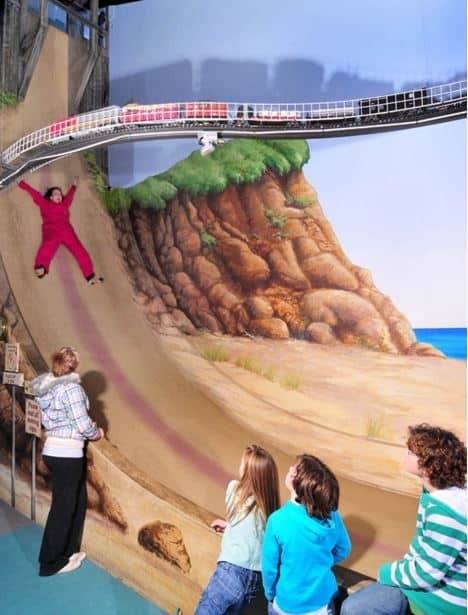 Drop down the “Look Out” slide which is the highest indoor vertical slide in the southern hemisphere. 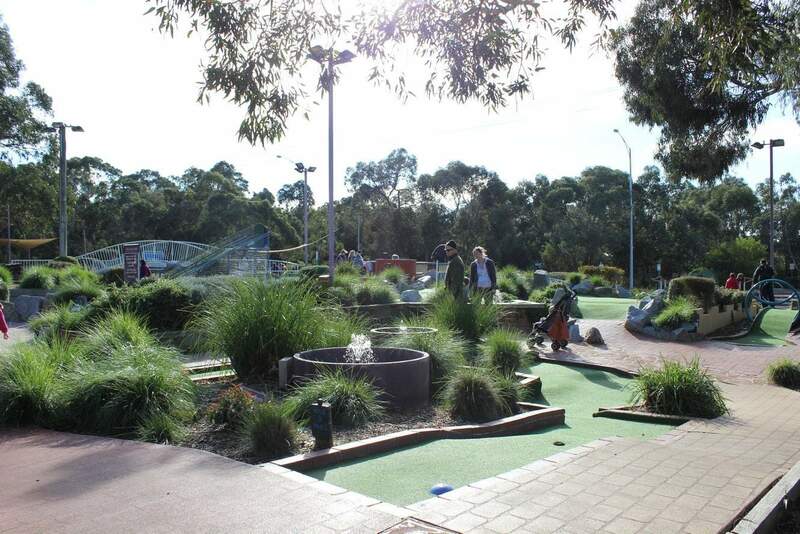 Stay here for lunch and grab a bite to eat at the Puzzle Cafe or have a BBQ at the picnic areas on site. Watch the kids play on the adventure playground and purchase a souvenir at the retail shop. For those looking for accommodation, Amaze’N Things has a holiday park within its precincts which includes cabins, camping and van sites. There is also a large communal kitchen which includes a commercial-sized wood-fired pizza oven. There is also WiFi, a kids games room, playgrounds and laundry facilities. 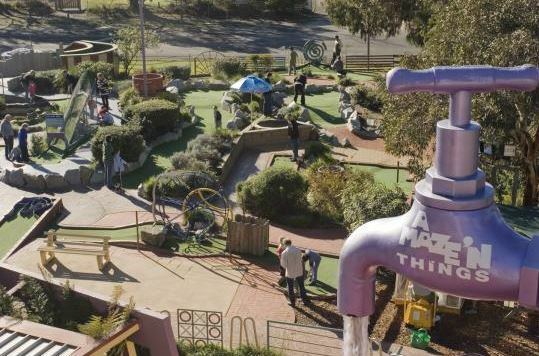 There are so many things to enjoy at Amaze’N Things that will keep the kids entertained for hours. Click on our link below to get tickets for Amaze’N Things.